The life about a family living on Jeju Island. Seo Eun Young and Kang Jung Woo are happy, engaged-to-be-married couple. Suddenly, when Eun Young was pregnant, Jung Woo abandoned her to marry Na Kyung, a rich woman. The new couple then went to study abroad for 5 years. Meanwhile, Eun Young works as a nurse in a hospital. Kang Hyung Woo, who is one of her patients, becomes obsessed with her. 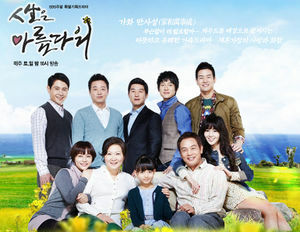 Hyung Woo’s mother, Madam Shin, a department store owner, then wants Eun Young to marry her son. 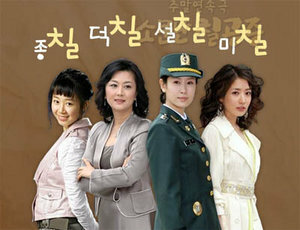 “Famous Princesses” (English title: "The Infamous Chill Sisters" ) is a Korean drama/comedy about the Na family which depicts various problems and situations that today's modern families face, which elicits both laughter and tears from its viewers. The story line is centered around the four daughters of Na Yangal-a retired military officer who now works as a security guard of an apartment complex-and his wife-Kyung Myung Ja. The story of their oldest daughter, Deok-chil, revolves around the divorce she has from her unloving husband, Soohan after he catches her having an affair with her husband's best friend. She then re-marries her male business partner, but most deal with the problems that re-married couples often face. The upbeat and confident second daughter, Seol-chil-who is the pride and joy of the family and plays the role of the son her father never had-is a captain in the Korean army. She is in love with one of her fellow army soliders, Hanam, whom she initially resisted but must deal with the fact her father has arranged her to be married to a Korean Navy officer. Seol-chil's fraternal twin, Mi-chil,is an attractive woman but is also the family’s troublemaker. She is in love with Seochill's best friend, Ilhan, but she discovers Seochill was once in love with him also which causes her to be jealous and resentful towards her. Finally, the youngest daughter, Teng-chil, becomes pregnant and marries her boyfriend, Taeja at a young age. However she then faces numerous conflicts with Taeja-who has trouble staying faithful to her-and her strict and demanding mother-in-law.